The iconic voice of Optimus Prime makes every 80′s baby boy feel like he’s 10 years old again! The selfless leader of the Autobots reared us through lessons of teamwork, conflict resolution and forgiveness, and helped us to develop character in ways that other Saturday morning cartoons couldn’t… It was actually cool! And still is! I don’t know bout y’all, but my dad was a ‘Prime’ in my world; a ‘lil bit of Rodimus, and a lot of Optimus. If you think about it, we all had a ‘Dadimus’, ‘Unclemus’ or ‘Brothermus’ Prime that we looked up to in the same light, of The Matrix possessor. The 3rd saga in the blockbuster Transformers franchise is set to blow up the box office this coming Wednesday June 29, 2011. Although the previous 2 Transformers movies grossed well over $700M each and won several awards, they were criticized for the radical redesigns of the characters, the blurring speed of the action and the focus on the humans at the expense of the robots. 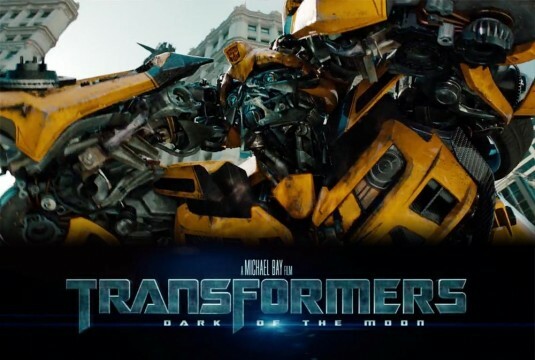 Still highly anticipated, TRANSFORMERS 3: Dark Of The Moon will satisfy the action/sci-fi movie goers by the millions this long weekend. For the ladies that are not into Transformers, just remember that Tyrese is back for this third installment! I’ll have to comment on the movie once i see it. Hopefully it doesn’t have those two goofy cooning robots that seem to (definately) be making fun of black people. Ok, so I went to see Transformer’s 3. I haven’t been annoyed while watching a movie in the theatre in a while. Maybe that’s because I haven’t been to the theatre in a while. This was a terrible movie to make my return. I don’t think I even smiled once. I didn’t hear a chuckle or any type of surprised sound from the audience through the film either. Maybe I was just being a hater. Maybe asking for a decent story and interesting characters is outrageous. After sitting through it, I went for my post-movie leak. I overheard some other dudes also saying how sh!tty they thought the movie was. One guy even asked why it was so bad?